Students will have a chance to revote for the College of Liberal Arts and Social Sciences senatorial candidates on April 11 and 12, following the mistaken non-placement of one of the candidates on the ballot, the SGA Election Board announced on Twitter Wednesday night. 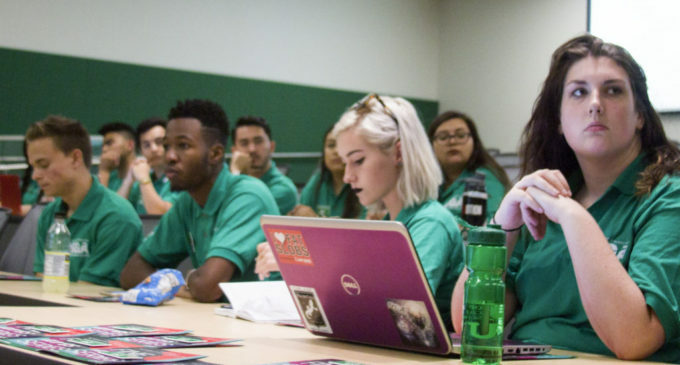 Marisela Zubia, who is running for senate for CLASS, emailed the SGA Election Board on April 8, letting them know her name was not on the ballot. After the election advisor confirmed that, the board voted unanimously to redo the voting for all CLASS senatorial candidates. Before this issue was resolved, Zubia tweeted about it and asked students to write her name in. Voting will take place on OrgSync on April 11 and 12 for CLASS senatorial candidates.